On Friday, the rupee had ended 30 paise lower at 64.21 against the US dollar. The currency markets were closed on Monday. 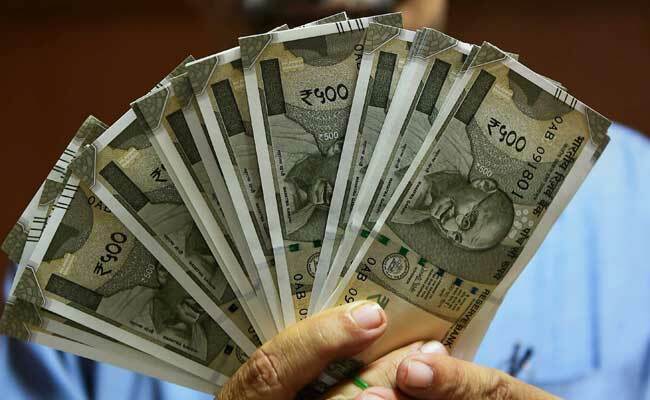 The rupee (INR) fell sharply by 58 paise to end at a fresh three-month low of 64.79 against the US dollar (USD) at the interbank forex market today. Traders attributed higher demand for the US dollar from importers and banks and broad strength of the greenback for the rupee's decline today. On Friday, the rupee had ended 30 paise lower at 64.21 against the US dollar on rising global crude prices and worsening trade deficit. The currency markets were closed yesterday. The rupee ended at 64.79 against the US dollar today, down 58 paise from previous close. 1) Domestic equity markets ended lower for the third day today, further weighing on the rupee. Weakness in domestic stocks is weighing on the rupee, forex advisory firm IFA Global said in a note. The sentiment in banking stocks is also negative due to developments around PNB scam and rising rates, it added. "The Indian rupee fell amid broad dollar strengthening ahead of Wednesday's Fed meeting minutes and key Fed member's speeches," IFA Global added. 2) Ratings agency Moody's has placed PNB's credit ratings under review for a downgrade, while assuming a very high probability of government support for PNB. 3) Investors are concerned that the broader Indian banking sector could take a hit of more than $3 billion from loans and corporate guarantees provided to diamond companies at the centre of the massive alleged fraud. 4) Investors have also been unsettled by India's trade deficit hitting its highest in over 4-1/2 years in January, say analysts.